one big one from Pegaso and several from Kimera. The last “New Releases” is available here. Let’s have a look at the new releases that have caught our eye this week. First up is Argyraspides, 4th century BC from Pegaso Models. 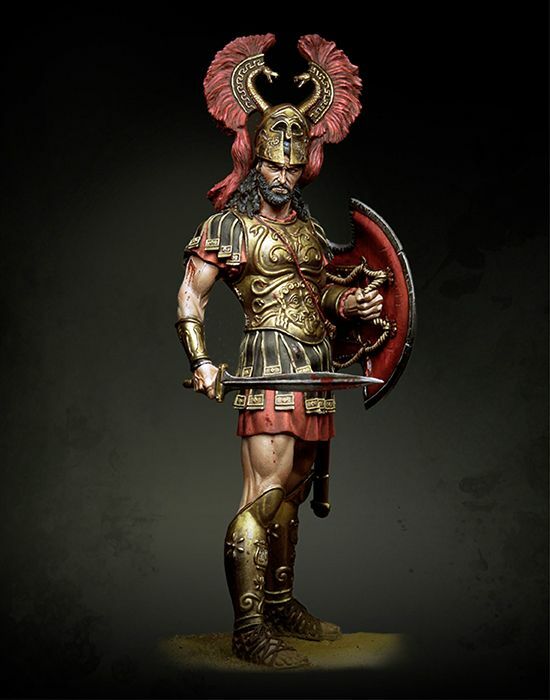 This is a 90mm offering, depicting an ancient greek looking hero, standing ready with his sword and shield. He wears an extravagantly plumed helmet. Argyraspides were elite Macedonian warriors of Alexander the Great, they were called so because of their silver plated shields. Originally they were called Hypaspists, but changed their name to Argyraspides whilst in India under Alexander the Great. Quite interesting I think. This imposing 90mm figure consists of 14 resin parts. 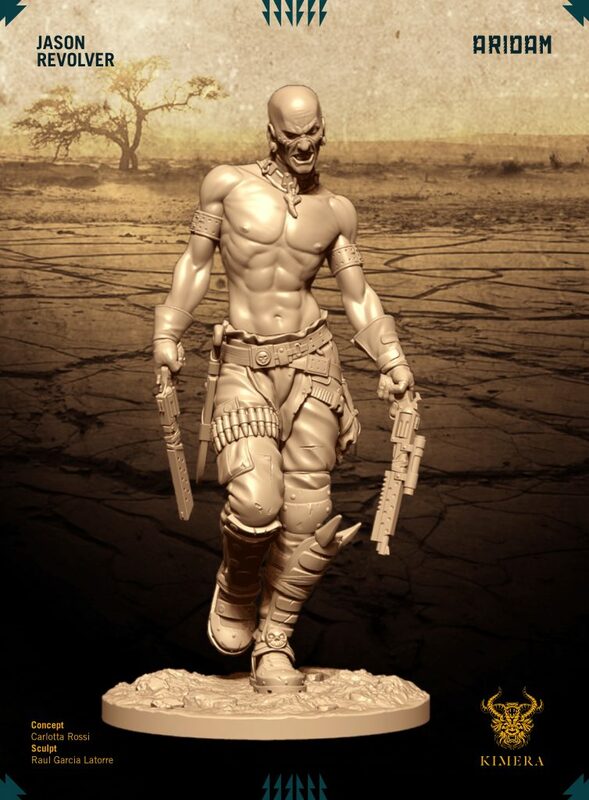 He is sculpted by Luca Marras and we have a beautiful box art paint job by Danilo Cartacci. Detail looks crisp and very beautiful. He has a powerful and intense expression. The Argyraspides is available here. Next we have a slew of new releases from Kimera Models! First let’s take a look at Jason Revolver. Jason is a 75mm figure of a post apocalyptic warrior, very much in the vein of Mad Max. One really feel like smearing his head in oil, spray some chrome in his mouth and yell witness me! 😉 He can be a lot of other things as well, but he is a very typical post apoc. warrior. Cast in resin, a digital sculpt by none other than Raul Garcia Latorre after a concept by Carlotta Rossi. There is also an alternative version available called Jason Chainsaw, wearing a mask, some more armor plates, a robot arm and armed with a chainsaw. 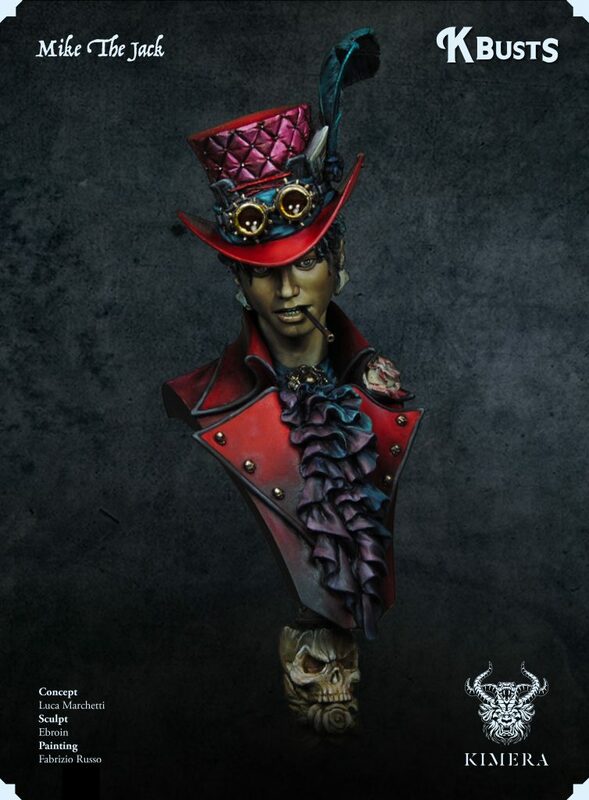 Then we have Mike the Jack, a 200mm bust, slightly resembling Michael Jackson… Quite the charming steam punk trickster to look at. He is cast in resin, detail looks nice and sharp. Mike is sculpted by Ebroin after a concept by Luca Marchetti and we have a fantastic box art paint job by Fabrizzio Rusto. Mike the Jack is available here. Lastly we have Apollon, God of Sun. An imposing 75mm, showing the god Apollon riding his chariot across space! This is a strange mix of fantasy and sci-fi. 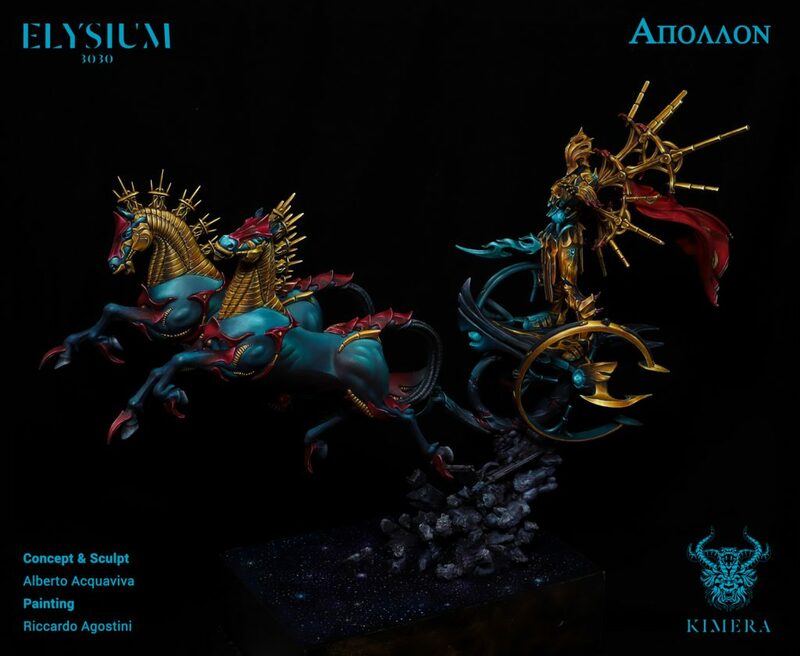 The two horses pulling the chariot are looking very alien as does Apollon himself. The chariot has the shapes of an ancient chariot, but is in reality a sort of sci-fi space craft ridden like one. This kind of captures the divine aspect of a god such as Apollon. A very fascinating figure in my opinion, it has grown on me since I saw it the first time. Concept and sculpt by Alberto Acquaviva and box art paint job by Riccardo Agostini. Apollon is available here. That’s it for today. I will be back in January with more new releases, until then Happy holidays.